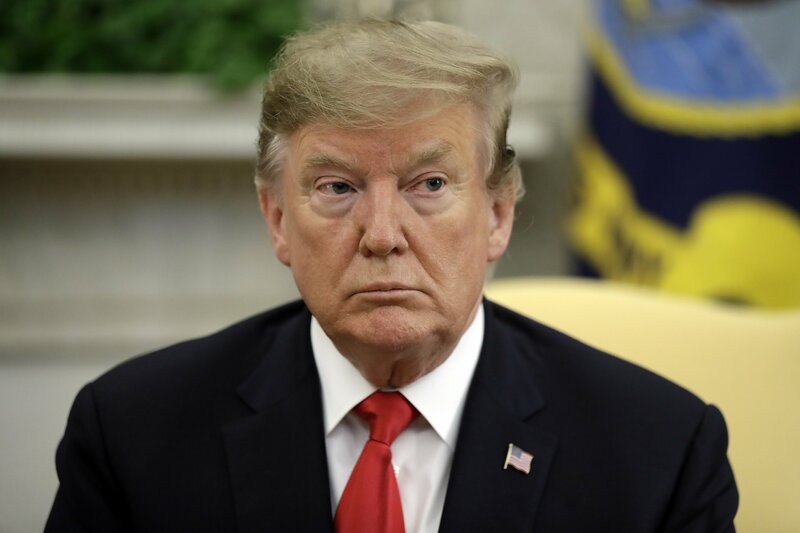 NEW YORK — News industry leaders are fighting back against the charge by President Donald Trump and his supporters that the administration’s summation of special counsel Robert Mueller’s report proved that journalists were “so wrong for so long” in their coverage of the Russia investigation. The latest to weigh in was Steve Coll, dean of Columbia University’s Graduate School of Journalism, who wrote in a New Yorker magazine essay this week that it’s wrong to conclude journalism failed because Mueller did not charge Trump with conspiring with Russians to influence the 2016 election. The New York Times and The Washington Post shared a Pulitzer Prize, awarded by Columbia in 2018, for their reporting on the issue, a prize Trump says should be taken away. Complicating the issue is the broad definition of the news media circa 2019, encompassing everything from painstakingly sourced investigative stories to overheated tweets to opinionated pundits. “It’s premature to pronounce this coverage as some kind of epic press failure,” said Nancy Gibbs, former Time magazine editor and a Harvard University professor of press, politics and public policy. People angered by the press’ role in investigating the president will use Mueller’s findings as a lever in any way they can, she said. “That doesn’t mean that they’re right,” Gibbs said. The phrase “so wrong for so long” was used by White House Acting Chief of Staff Mick Mulvaney during a CNN appearance on Sunday. He said “we need to figure out” what happened with reporting on the story. Sean Davis, co-founder of the Federalist online magazine, said the same thing in the lead of a Wall Street Journal editorial earlier in the week that argued “America’s blue-chip journalists botched the entire story.” The president retweeted his story. Mulvaney, without offering specifics, said to Tapper that “if that’s your recollection of history, that’s great. There were obviously disputed individual stories along the way. ABC suspended Brian Ross for a story wrongly alleging that Trump had asked former national security adviser Michael Flynn to discuss foreign policy with the Russians before he was elected. Three CNN journalists resigned over a story falsely linking a Trump aide to a Russian investment fund. The special counsel’s office denied a Buzzfeed report that it had evidence Trump had directed lawyer Michael Cohen to lie to Congress over a Moscow office project. Yet much of what the public learned over the past two years on the story was the result of relentless digging by reporters. In tweets over the past week, Trump repeated his contention that the mainstream media is the enemy of the people, and said the Times’ and Post’s Pulitzers should be stripped. The Times, in response, tweeted a picture of its Pulitzer winners and noted that every story cited in their prize-winning entry has been proven correct. Top editors at the Times and Post, Dean Baquet and Marty Baron, and CNN chief Jeff Zucker offered similar statements noting it was their organizations’ job to show what people in power are doing, and prosecutors’ responsibility to determine what is legal or illegal. Not every top news executive was eager to get involved; representatives for news presidents at ABC, CBS and NBC either turned down or didn’t reply to interview requests. “We’re going to keep doing our job,” MSNBC President Phil Griffin said in a statement. If there’s any media soul-searching to be done, it may involve cable news. In the Trump era, Fox News and MSNBC are frequently the most-watched cable networks in general, both appealing to different camps. Harvard’s Gibbs recalls watching reporters and pundits sitting side-by-side on cable panels, with roles confused when pundits were asked what they were hearing and reporters questioned about what they thought. Journalists have long believed that readers and viewers understand the difference between reporting and commentary, Coll said. “It would be unrealistic to expect them to make such a distinction now,” he said.